Walangkura began her painting practice in 1995 through a collaborative canvas project between the Kintore and Haasts Bluff communities titled 'Minyma Tjukurrpa'. Later, she went on to depict the story of the ‘devil devil’ woman, who kills and eats people whilst journeying from the west. Important landscape sites, including rock holes, sand hills and underground caves are also depicted in her works. 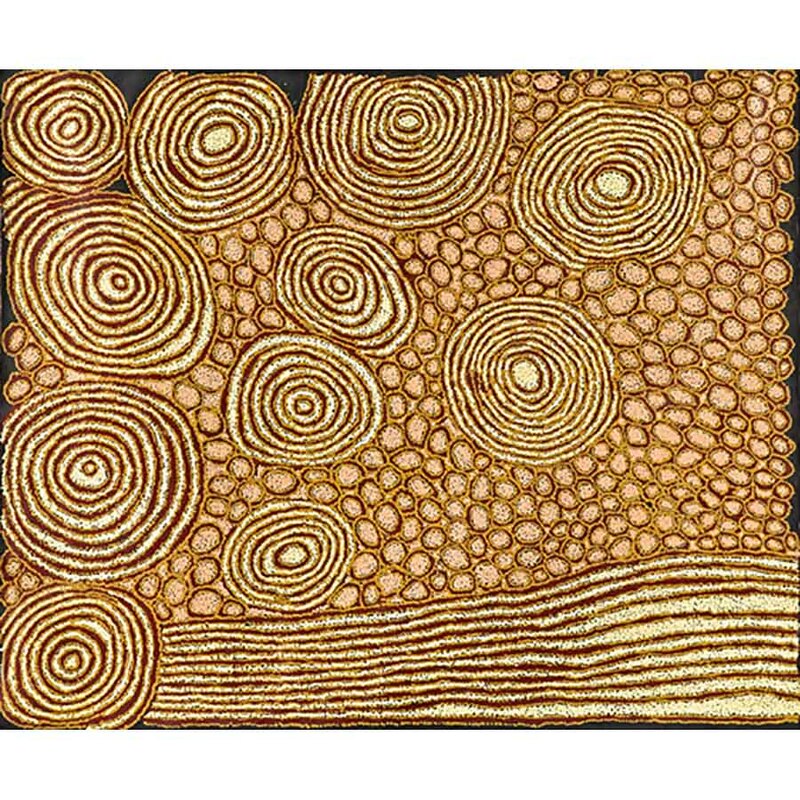 Walangkura has exhibited extensively, including in the landmark show 'Papunya Tula: Genesis and Genius' held in 2000 at the Art Gallery of New South Wales, Sydney. Her works are held in private, corporate and public collections. Walangkura's early works, created from 1996 onward, are characterized by masses of small markings and motifs covering large areas of canvas. Her favourite colour – a deep sandy orange – predominates, accentuated against more somber blacks and reds and dusky greens or yellows. Her later works show a gestural quality though still tightly packed with an intensity of geometric line work representing sand hills. 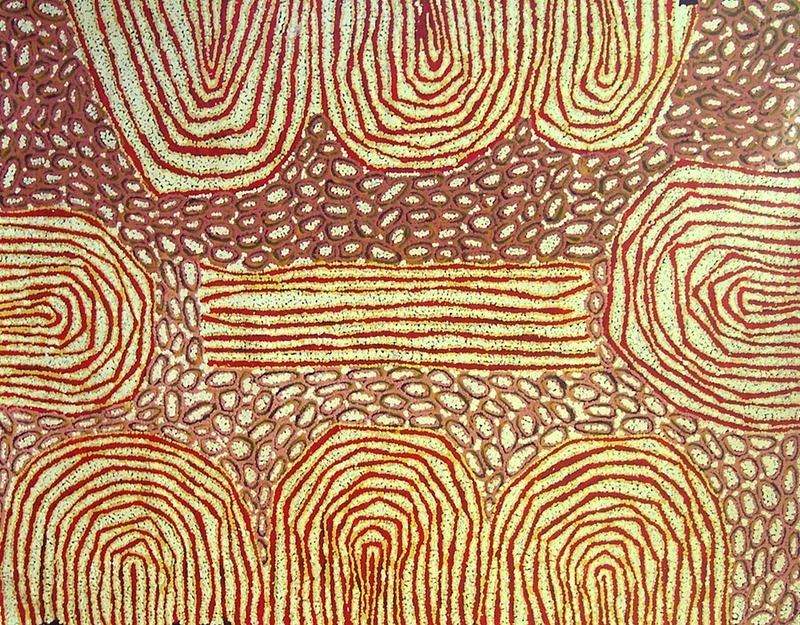 In a sense this provides a strong visual and contextual link to the men's linear style as exemplified by the works of George Tjungurayi, Turkey Tolson and Willy Tjungurayi. The paintings are rich with a sense of rhythm and unimpeded movement, portraying sand hills, rock holes, journeys and gatherings of ancestral women and the flow of colours in subtle shifts of light. Many of these are monumental works that transmit the confidence of an assured and dynamic creativity. Walangkura transmits the power of the desert, soaked up during her childhood years, and imbues her works with the mystery of a sacred perception.